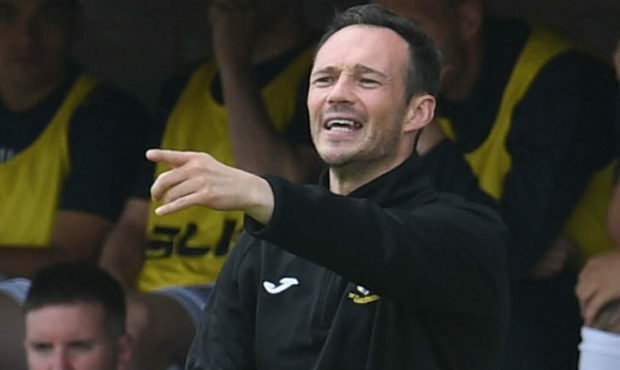 East Fife entertain Brechin at the Locality Hub Bayview Stadium and boss Darren Young has admitted the form his side are in is causing him to lose sleep. They have won their last seven games and Young is finding picking a team harder and harder as everyone deserves to be involved. The Methil manager said: “I have had a few sleepless nights recently and they have continued this week. “We are doing really well as a team and it is deciding who to leave out that is causing me the most problems. “Everyone is contributing and, having won seven games in a row and beaten two full-time Championship sides, they want to be playing in the next game. Young added: “Up front Kevin Smith started last weekend and scored, Rory Currie started and played well with Jonathan Court doing well when he came on and Anton Dowds came off the substitutes bench and grabbed the clinching goal. “That is a role reversal from previous weeks. “I can only pick any two from the four of them but it usually comes down to a choice between Kevin and Jonathan for the target man role and then between Rory and Anton for the role just off the main striker. “A lot of attention has been on the guys up front but the guys at the back are doing equally well. “They are providing the platform that allows the goalscorers to win games. Keeping a clean sheet against a Queen of the South side that has Stephen Dobbie in such great form is really good going. “I need to pick the right team for this game as it will be tricky. Chris Kane will be included in Young’s squad if he gets the go ahead from medical staff following a recent head knock.